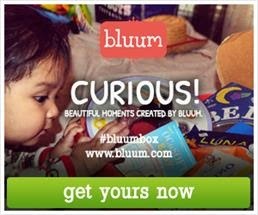 Bluum is a monthly box of new goodies for mom & baby. - products are based on your child's age, gender and developmental stage! Each box is 100% customized to your child's age, gender, and developmental stage, and is packed with expertly curated full sized goodies like; Bath and Body Products, Baby Food, Clothing, Books, Toys and more! CP EXCLUSIVE COUPON CODE - CPSAVE40 - 40% off your first month of bluum here!